The US presidential election is quickly approaching. To celebrate this, we will look back at some of the more famous US elections to occur. Whether it was a landslide or a tight race, each election is notable for a variety of reasons. The only time in history that a candidate has won a majority of the popular vote, but lost the election, 1876 is one of the closest elections in history. 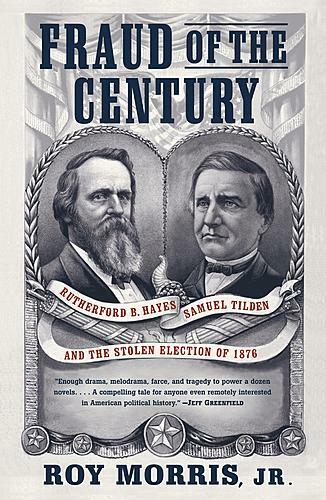 Republican Rutherford B. Hayes won representation of his party after delegates feared the favorite, James G. Blaine, would be unable to win the general election against the hugely popular Democrat Samuel J. Tilden. 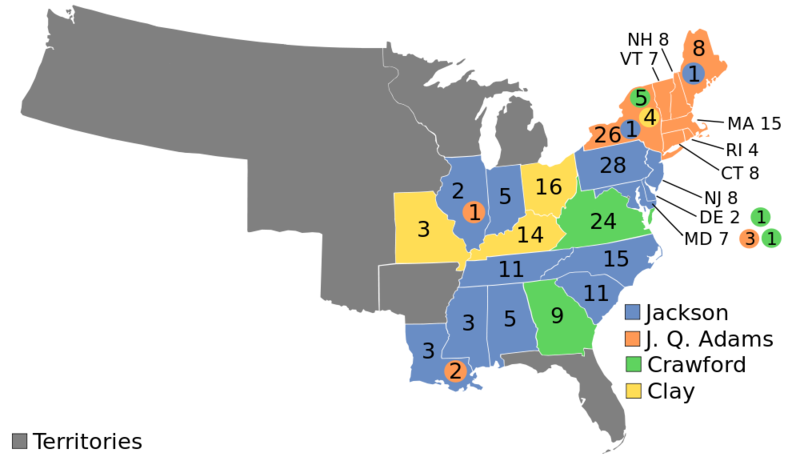 20 electoral votes were in dispute, from Florida, Louisiana, and South Carolina. Tilden had a 184 to 165 lead over Hayes, but all 20 of the votes were awarded to Hayes after a lengthy battle, giving him the victory by one Electoral College, despite Tilden winning 51% of the popular vote. The 1876 election was one of the fiercest battles in US political history. Republican William McKinley had the aide of an immense amount of money, as well as the brilliant advisor Mark Hanna. However, Democratic candidate William Jennings Bryan was extremely popular among the rural farmers, as well the businessmen of the cities. The two men ran their campaigns completely different. Bryan traveled all over the country, making thousands of speeches. McKinley, on the other hand, conducted a “front porch” campaign, in which Hanna brought voters by train to McKinley’s home, where he would discuss various issues. 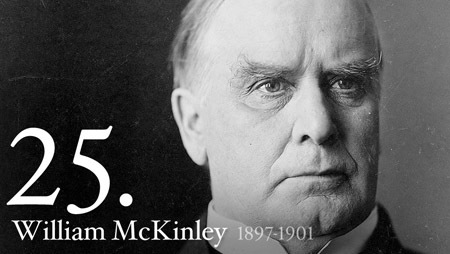 In the end, McKinley edged his opponent to win, carrying 23 states compared to 22, but 271 electoral votes to 176. Unpopular incumbent president Jimmy Carter, crippled by the suffering economy, was able to defeat Ted Kennedy in the Democratic primary, after a vicious convention. Meanwhile, Ronald Reagan easily won the Republican primary, and chose his nearest rival George H. W. Bush to be his vice-presidential candidate. However, Carter was ahead by three points heading into the only debate. In the debate, he came across as angry and distant. Reagan, on the other hand, was charming and friendly. 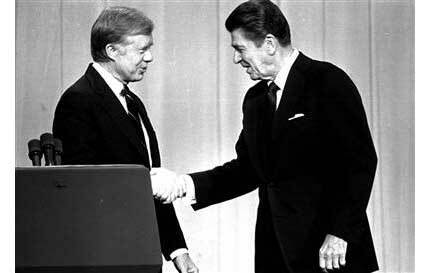 The most famous moment came near the end when Reagan asked the devastating question, “Are you better off now then you were four years ago?” He soared ahead after the debate, and won 44 states to Carter’s 6 in the general election. John F. Kennedy struggled with his youth and inexperience throughout the 1960 campaign. However, his campaigning skills more than made up for his youth. Richard Nixon, the incumbent vice-president, was hurt by the suffering economy, and his advantage in experience began to dwindle as the election neared. Religion was also a key issue, as Kennedy was attacked for being Catholic, and Nixon for being Protestant. Kennedy was able to win the important swing states, and take the election. 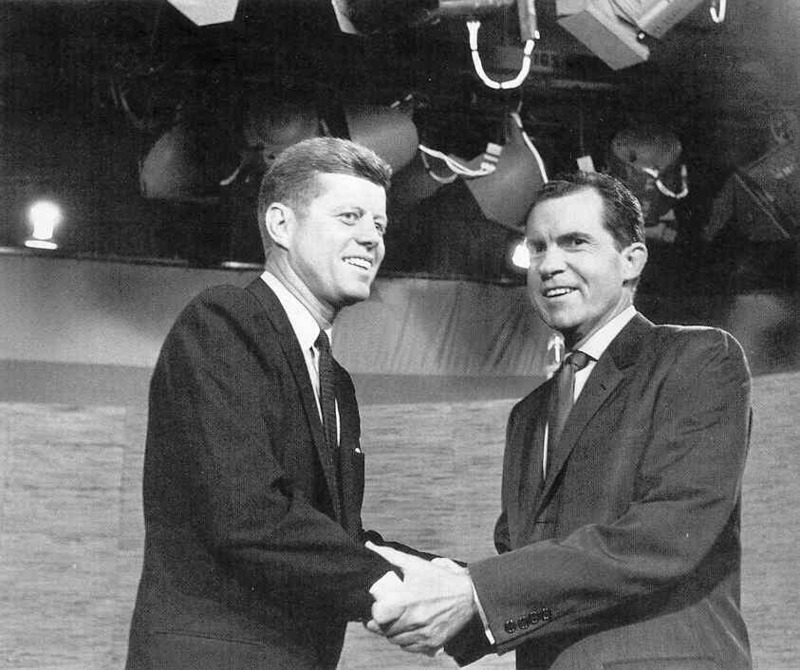 However, it was extremely tight, as Kennedy won 49.7% of the popular vote, and Nixon won 49.5%. Nixon actually carried 4 more states than Kennedy, but received less Electoral College votes, and lost the election. The explosive issue of slavery had been dividing the US for decades, but in 1860, it finally reached a boiling part. The Democratic party had been split so much that two candidates ran – Stephen A. Douglas as a Democrat, and John C. Breckinridge as a Southern Democrat. 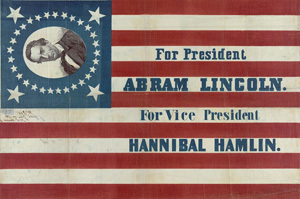 This split allowed Republican Abraham Lincoln to win the election, despite failing to win a single Southern state. Before his inauguration, seven outraged Southern states seceded and formed the Confederacy. The election also led to three new states (Kansas, West Virginia, and Nevada) being admitted to the Union. The greatest upset in election history occurred in 1948. Thomas E. Dewey and incumbent president Harry S. Truman both easily won their party’s nomination, but Republican Dewey was immediately a heavy favorite. Truman had very little popularity when the campaign began, and throughout the fall of 1948, Dewey gave vague speeches filled with quotes like, “the future is still ahead of you.” Truman, on the other hand, decided he had nothing to lose, and relentlessly attacked Dewey, holding nothing back. Virtually every poll and prediction the day of the election had Dewey easily winning. 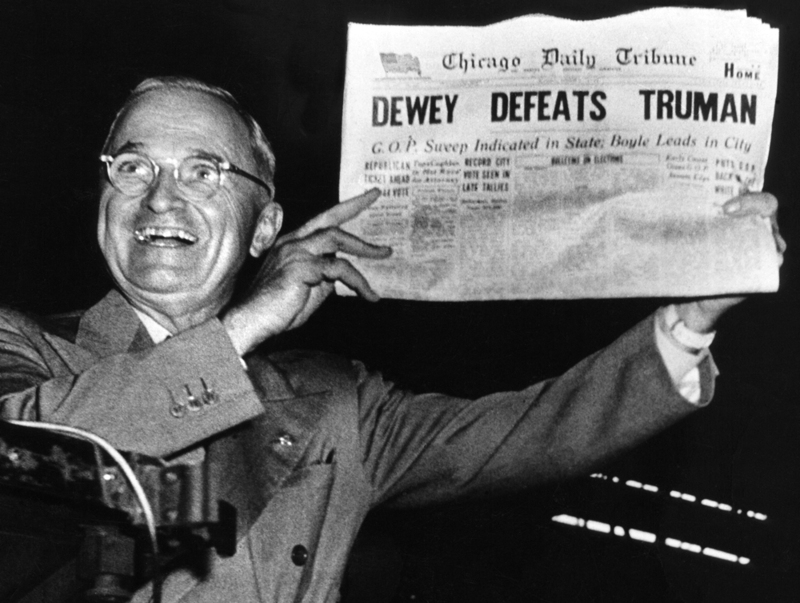 The Chicago Daily Tribune even printed their headline, “DEWEY DEFEATS TRUMAN” before the election. Truman stunned everyone to pull off a 303 to 189 electoral vote victory. 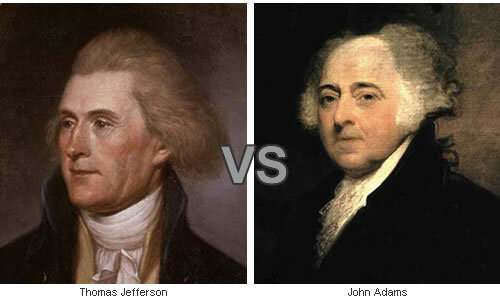 The “Revolution of 1800” occurred when Thomas Jefferson defeated incumbent president John Adams. Each state chose their own election day back then, so voting took place from April to October. The candidates were tied at 65-65 in the Electoral College when the final state, South Carolina voted. The Republicans in the College accidentally cast their votes for both Jefferson and his vice-presidential candidate Aaron Burr. Therefore, the two men tied with votes. The House of Representatives settled the tie by voting for Jefferson, the true presidential candidate. 1800 was historic, because it marked the first transition of power in American history. The most successful third party candidate in history ran in 1912. However, he wasn’t exactly unknown. Former President Theodore Roosevelt ran again in 1912, despite finishing his second term in 1908. He lost his party’s nomination to former friend William Taft after a lengthy and personal battle. 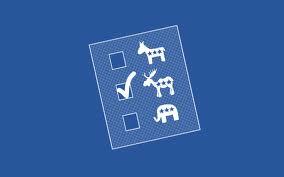 Enraged, Roosevelt formed the Progressive Party (nicknamed the “Bull Moose Party”), and ran as a third-party candidate. Woodrow Wilson was nominated as the Democratic candidate after a staggering 46 ballots, as front-runner Champ Clark finished first over and over, but failed to earn the needed majority. In the general election, Roosevelt finished second, but sucked so many votes away from Taft that Wilson was able to cruise to an easy win of 435 electoral votes to 88 for Roosevelt and only 8 for Taft. The election of 1824 featured four Democrat-Republicans running against each other. Andrew Jackson was able to win the most electoral votes, 99, but failed to win a majority. The House of Representatives voted to decide who would win the election, since no candidate received enough votes to clinch a victory. As the last-placed candidate, Speaker of the House Henry Clay was out of the race. However, his position allowed him to virtually decide who would win the election, since most members of the House would side with the Speaker. Clay chose John Quincy Adams, the runner-up in the election. Adams promptly chose Clay to be his secretary of state, a prestigious position. This was called the “Corrupt Bargain of 1824”, as outraged Jackson supporters accused Adams of bribing Clay for his support. In 2000, the election came down to one state – Florida. The election between incumbent vice-president Al Gore and Texan governor George W. Bush was extremely tight. As the results began to come in, it became clear in the early morning hours that Florida, with its 25 electoral votes, would decide the winner. The major news networks declared Bush the winner of Florida and the presidency at about 4 AM. However, this was later retracted, and days later, the winner was still unknown. The votes were recounted in Florida and eventually, the Supreme Court announced on December 12th that the ballot recount was unconstitutional. Al Gore officially conceded on the following day, more than a month after the election.